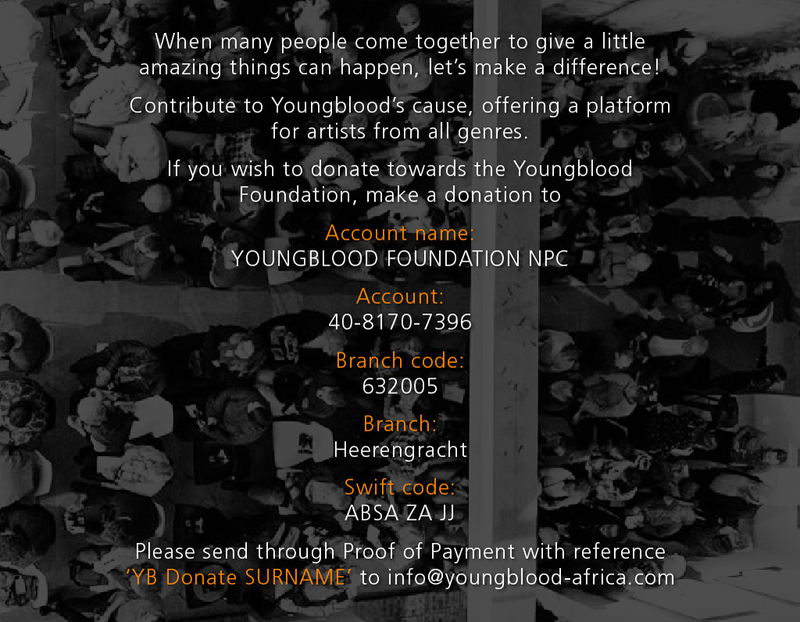 ‘If I cannot dance it’s not my revolution’ : Youngblood – Artist Hub. Platform for Artists. I read this quote many years ago and somehow it captured exactly how I felt and still do. I cut the letters out of the paper and in all those years, it was hanging on my fridge wherever I lived. 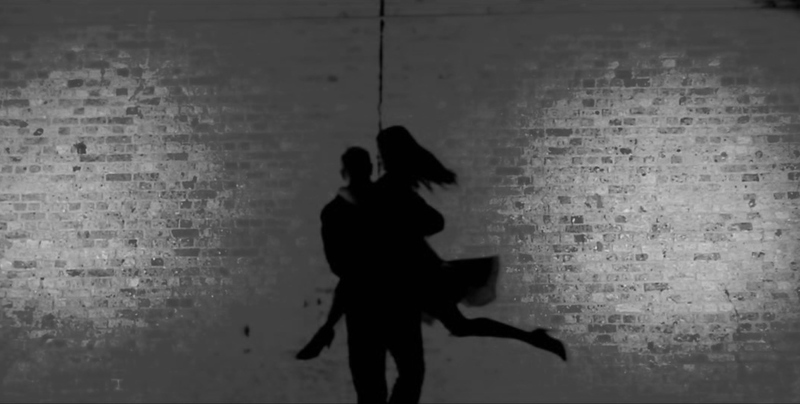 To me the Argentine Tango in its complexity and simplicity; in its rich history and on a very personal level, has much to do with revolution. I love the freedom of expression and the discipline that comes with this dance, trying to master it, is as emotional as it is abstract. The more I engage, the longer I live, experiencing more feeling & more thinking and the amount of questions just grow by the day. I tell myself to keep on walking with faith and passion (especially those moments when I feel tired, frustrated and I just feel I want to stop dancing). I try to recollect, remember and somehow embrace it all….and then there is the other…the other person in front of me. So here we are, two individuals trying to hold their own grounds and centers, choosing to connect and share a memorable, beautiful moment together (like in an ideal relationship where both partners are strong and happy on their own, not ‘needing’ the other but rather compliment one another in their different roles). We embrace each other closely and truly, chest to chest. Holding one another, we simply start walking maybe straight, around the corner, in circles, outside or inside each others legs and spaces, moving each others feet, embellishing…or just standing still. One of us is the leader, the initiator of this non verbal conversation. The leader communicates his intentions through his chest and listens carefully if the follower has understood his invitation. The follower listens, translates and responds with their own voice. Much of the quality, the mood and the geometry of this conversation is determined by the music. In a Milonga (the place) there are many couples having their own intimate, individual conversations, moving to one music at the time respecting the rules of the dance floor. You will never have the same dance twice, each dance is uniquely created and improvised in that very moment. 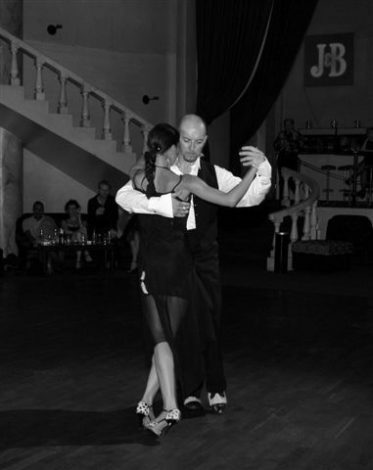 For me tango is not about the ‘show’, false eyelashes or the beautiful dress (of course that is fun to do), but truly it is about the desire to connect with another person and experience an honest magical conversation. 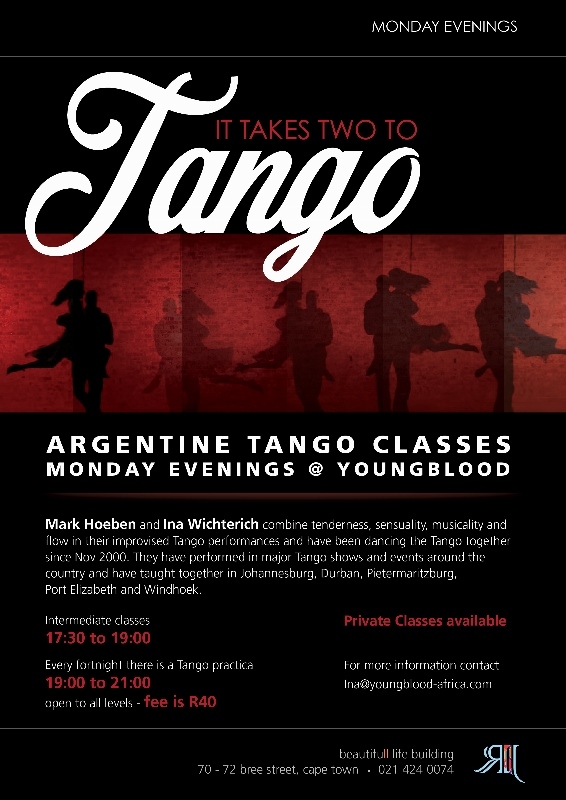 For more information on the tango classes at Youngblood contact Ina Wichterich directly.